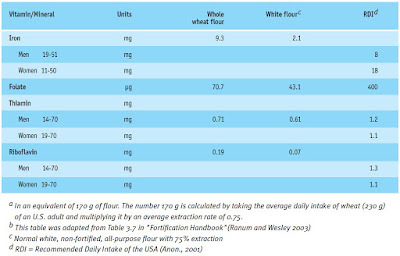 This chapter summarizes all the public standards for flour fortification in 70 countries, with the latest entries dating from September 2006. The adoption of flour fortification as a national standard and its modification is an ongoing process, and therefore the following information can only reflect the current situation. Tab. 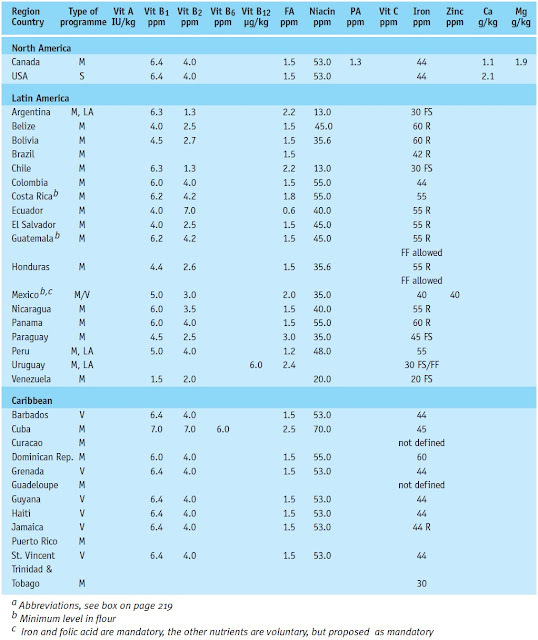 85 lists the nutrient standards of countries with mandatory or voluntary flour fortification. Whereas in North and Latin America the fortification of flour is implemented in nearly every state, there are still a lot of countries where fortification is not practised and people suffer from malnutrition. In South-East Asia and Africa, especially, more and more states are determined to start flour fortification and work on projects and plans to put guidelines into practice. Since micronutrients are added in minute quantities (ppm), they are difficult to feed accurately and uniformly through a feeder. This becomes even more challenging when the output of a flour production facility is very small. 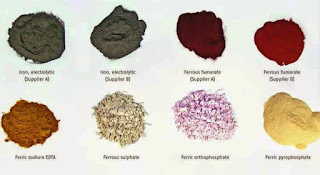 Therefore it is common practice to increase the bulk quantity of the premix containing the intended micronutrients by adding inert and free flowing material to help accomplish the uniform rate of addition. Powder feeders are the first and foremost critical step in the process of fortification technology. There are many types of feeders that are available from a number of firms including ingredient suppliers and milling equipment manufacturers. Different types of feeders include volumetric, gravimetric and loss-inweight feeders. Volumetric feeders are the most popular type of feeder used in North America. 20. Quality Implications Millers planning to introduce a flour fortification programme may have concerns about whether some of the micronutrients added to the flour will have quality-related implications due to the nutrients' reactivity, or for any other reasons. 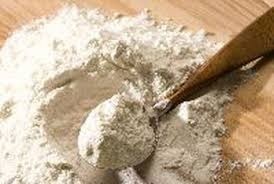 For example, in order to fortify flour with calcium in the UK, calcium carbonate is added. This has been the case for many years and the industry has adapted well to the method of determining flour colour rather than flour ash as a measure of refinement. 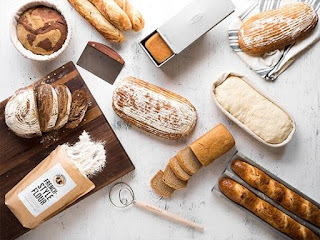 The industry has had to adapt because calcium carbonate increases the ash content of the flour appreciably, meaning that incremental small differences in ash content are less discernible. However, when the same calcium carbonate is added to flour in hot and humid environments it reacts and alters the pH of the dough, interfering with the baking process. In such situations calcium sulphate is used instead. 18. 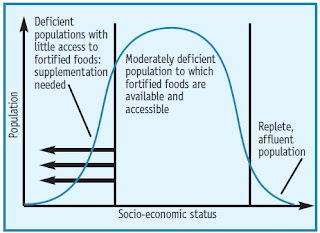 Cost of Fortification Estimated cost guidelines for fortification are available from suppliers of micronutrients and from the literature. Precise costs can be calculated when specific details are known. Such specific details include the geographic location of the milling plant and how many micronutrients have to be added in what amounts. Some markets may be more cost-sensitive than others. Like most other businesses, one may expect the milling community to be generally reluctant to embrace a voluntary fortification programme, even if it is a simple one. Much of the skepticism is due to the fact that the cost of this additional process is not known for certain. However, once it is recognized that the cost of fortification is quite reasonable and the technology very simple, then for many millers the resistance to the idea gradually disappears. 2.13. Technical Knowledge, Skills and Expertise of Millers Millers usually have a good educational and technical background. Their training prepares them to successfully overcome most technical challenges. Therefore, developing a system to incorporate flour fortification will be relatively easy for them when required. Millers have the ability to analyze complex flow diagrams in order to understand and improve the quality of their production and implement any potential modification to expand and diversify production / quality requirements. Wheat flour milling is known tobe one of the most challenging cereal processing technologies, primarily due to the presence of crease, which complicates the clean separation of bran and germ from the endo-sperm. These must be separated to obtain optimum extraction of flour of high quality. Over the years millers have learned to meet this challenge, improving flour quality and flour extraction levels. 11. Process Naturally Adaptable The milling process is naturally disposed to fortification. 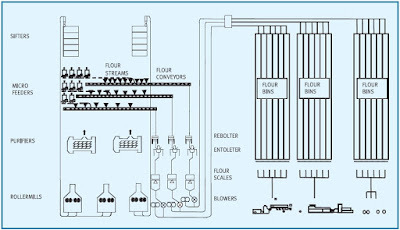 As flour is produced and collected in flour conveyors, the required nutrients in dry powder form can be introduced and well mixed with the flour while it is carried over to flour scales and / or other equipment en route to flour bins. The only additional equipment required is a powder feeder. In many cases powder feeders may already be present for the addition of powder additives for improving flour functionality. 9. The Flour Mill as a Suitable Location A flour mill is the logical location of choice to perform fortification for the obvious reasons mentioned above. While there are other potential downstream flour processors that can also fortify flour or semolina-based products, several important factors explain why a flour mill is the most effective location for fortification. The following list provides the key points: • Naturally adaptable process • Large scale of production • Technical knowledge, skills, and expertise of millers • Familiarity with the process of dispensing powder-based flour improvers • Suppliers to various end users. 5. 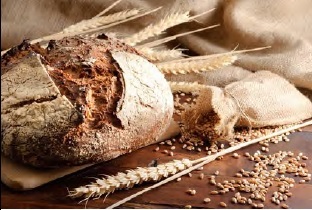 Current National and Regional Fortification Programmes Many governments and in some cases private enterprises or individual companies have adopted some kind of wheat flour fortification programme. At the UN Special Session on Children in 2002, nations were asked to improve children's nutrition through a number of mechanisms including food fortification (Anon., 2002), and forty-eight countries are currently enacting fortification programmes through voluntary or mandatory legislation (Fig. 101). Twenty-eight of these countries fortify with iron and folic acid. 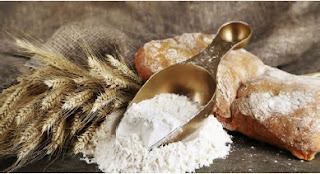 Through the efforts of these governments and the private milling industry, 15% of the approximately 400 million tons of flour consumed each year is fortified with these essential nutrients (Nystrom, 2003). The vitamin folate enables cell division and tissue growth. Folate is found only in small amounts in wheat, higher levels being contained in a variety of fruits, vegetables, and legumes (Gibbson, 1990). Folic acid is a synthetic form of folate which is used in food fortification and is more easily absorbed by the body than natural folates (Anon., 2000). Since 1991, scientists have discovered that folic acid consumed at high levels is important for preventing disabling neural tube birth defects and has a significant potential for preventing heart attacks and strokes as well as colon cancer. The protective levels of folic acid described in these studies were primarily consumed through the use of multivitamins, not through consumption of normal, non-fortified diets (Anon., 1991a and 1991b; Giovannucci et al., 1998; Rimm et al. 1998).